The first day of the Tour de France is always a special occasion, and not just for cycling aficionados: each year, locals come out in droves to cheer on the colourfully clad riders and admire their sleek high-end bikes. 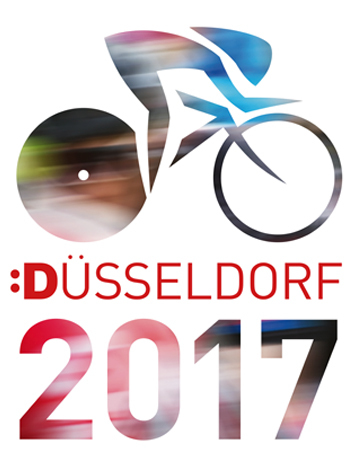 In 2017, it’s Düsseldorf’s turn to play host to the Grand Départ and the city is getting wholeheartedly behind this celebration of cycling. Its businesses in particular have been lending their financial support: in a tie-in befitting of the city’s status as a major art capital, entrepreneurs purchasing an extremely limited-edition print by the Düsseldorf-based artist Andreas Gursky also gained sponsorship rights to this prestigious event – and, of course, thus became into fledgling art collectors in the process. Here, we talk Tour de France with Ralf Schmitz, keen cyclist, entrepreneur and now also proud owner of a newly acquired Gursky photograph. Herr Schmitz, where have you hung your exclusive print? RS: We’ve given it pride of place in our office on Kaiser-Friedrich-Ring, where it overlooks the Rhine and the Düsseldorf skyline! Your are now an official member of Team Düsseldorf, as the corporate sponsors are calling themselves. Was your own passion for cycling a reason for getting involved? RS: I think events such as the start of the Tour de France bring people from all kinds of nations and backgrounds together – in turbulent times such as these, they are crucial to promoting tolerance and peaceful coexistence. Obviously, as an entrepreneur who enjoys cycling, it means a lot to me personally to support what is a fantastic sporting occasion for the region of North Rhine-Westphalia and the city of Düsseldorf. Would you describe yourself as a team player? RS: Only by working as a team can you achieve the best results, the highest standards of quality. With the Grand Départ in particular, the more people get involved, the better. The more dedicated helpers we have on the city’s streets, the more sponsors we have working in the background, the better the atmosphere will be. Has the Tour de France always had a special significance for you personally? RS: I’d be lying if I said I dropped everything as soon as the coverage starts on television, but I have always been fascinated by this venerable race, especially those occasions when you had great cycling legends such as Rudi Altig or Jan Ullrich powering to stage victories at the death. That was and still is such an amazing sight! Who do you think will win the 2017 tour? RS: As an entrepreneur, I prefer to deal in hard facts than in soothsaying. I just want the best and fairest man to win!